Buildings have memories. Places bear scars. We've all had those moments--a chill in the air, a sense that something terrible once happened where we stand. But some houses are more than scary. They're hungry. Larkspur House has lured five kids inside, and they're trapped. The five will have to look carefully--there are clues to the house's secrets scattered all over the grounds, and if they can figure out the past, it might show them a way out of their terrifying present. Will they stay strong enough to discover the house's weakness and escape? Or will the horrors of Larkspur House scare the five right out of their minds? Each book in the series is full of creepy photos and objects that tell one story in the book, and unlock exciting, choose-your-own-adventure stories online where kids try to survive the house! 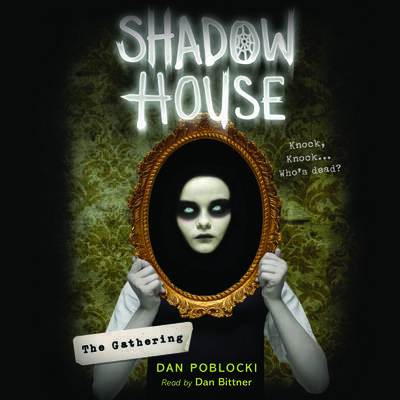 Dan Poblocki is the author of The Stone Child, The Nightmarys, The Ghost of Graylock, The Haunting of Gabriel Ashe, The Book of Bad Things, and the Mysterious Four series. He lives in Brooklyn with two adorable cats and more books than he has room for.